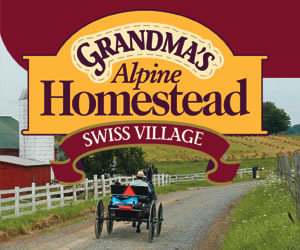 Visit the Alpine Homestead Village for some great cooking and bluegrass music too! Looking for a new Banjo? Buzz can help you out! Visit Gibson Banjos... Tell them Buzz sent you!